WHY ARE WE STILL TAKING FACE SHOTS IN 2014? I mean is the rest of me not good enough? ANTI FACE SHOT ONLY MOVEMENT! So I was recently looking threw some of my 2010 and 2011 photo albums on fb for TBT (throw back Thursdays). I realized two things one was my fashion has grown tremendously from my ratchetta days. The second thing I noticed was I have a good combination of both face and full body shots. I have never been insecure about my body which I guess could be a blessing and a curse depending on how you look at it. I have always gotten the comments "I love your face", "you dress good for you SIZE" etc. I never even thought about it honestly my shape, my size, my thighs etc. So when I found myself being commended at a social event for showing my body and shape on IG I was lost. I don't expect any kind of award for doing what we should all do: LOVE OURSELVES! It did get me to thinking why are so many plus size woman sticking to selfies of just the bust up? So it got me to thinking are we individually ashamed of our curves as plus size women or does marketing and advertisement play a role? Curvy Actress Mindy Kaling star of the hit show "The Office" has never apologized for her Curves and honestly could you blame her. 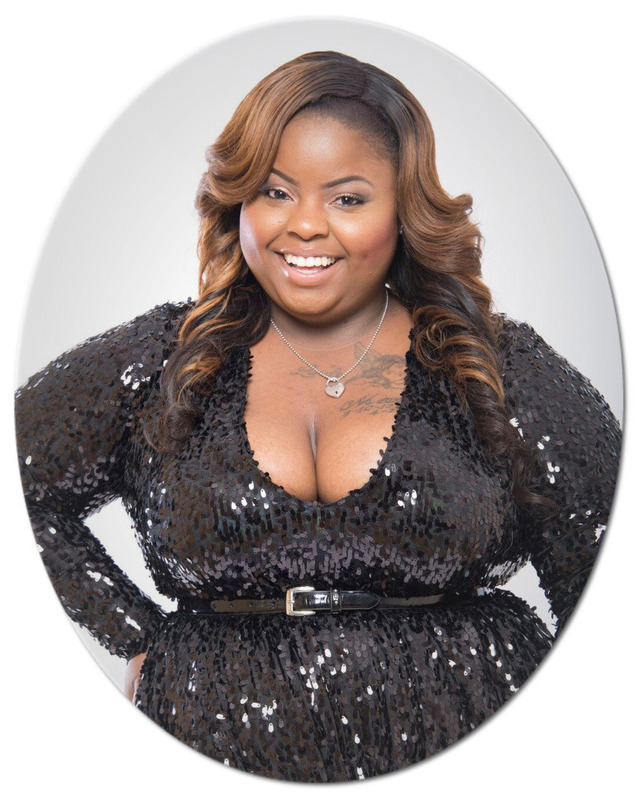 She is radiant and always classy in everything that she wears and although she is not a size 2 she is still rocking it on every scene. 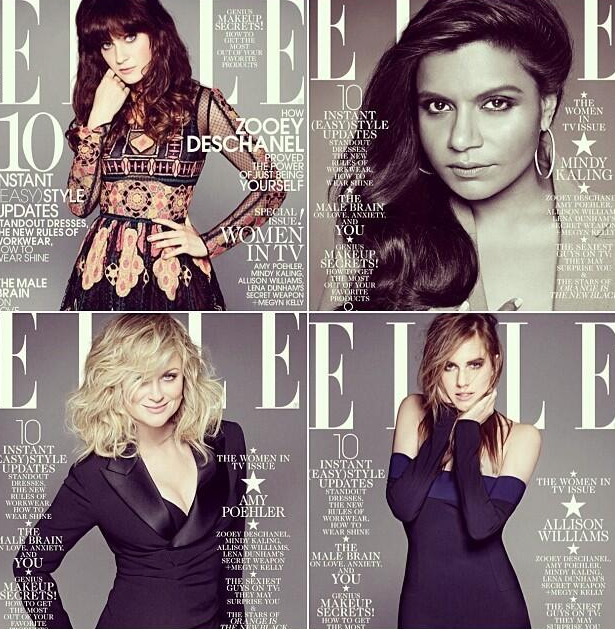 I saw the Feb issue of ELLE which was released with 4 covers as a special women in TV tribute. All of the ladies looked fab except when they got down to Ms. Mindy. Although her beauty still resonates in a black and white picture with her hair swoop to one side. why couldn't she have a full body shot? why did ELLE feel as if she was best fit tucked away hiding her curves. I said maybe it was ELLE maybe I was tripping or didn't want to think that in 2014 people could be so selfish and basically ashamed of curves in this day and time. I mean what did Monique do for us as a movement?. I mean songtress Adele has broken records and barriers in the music community and fashion world. How could we be brushed under a rug after doing so much inspiring? I don't even want to get started on the fact that the average size of a woman is 14. I don't see a lot of size 2-10 running around my neighborhood. I think this has been my first blog that I used the question mark so many times. 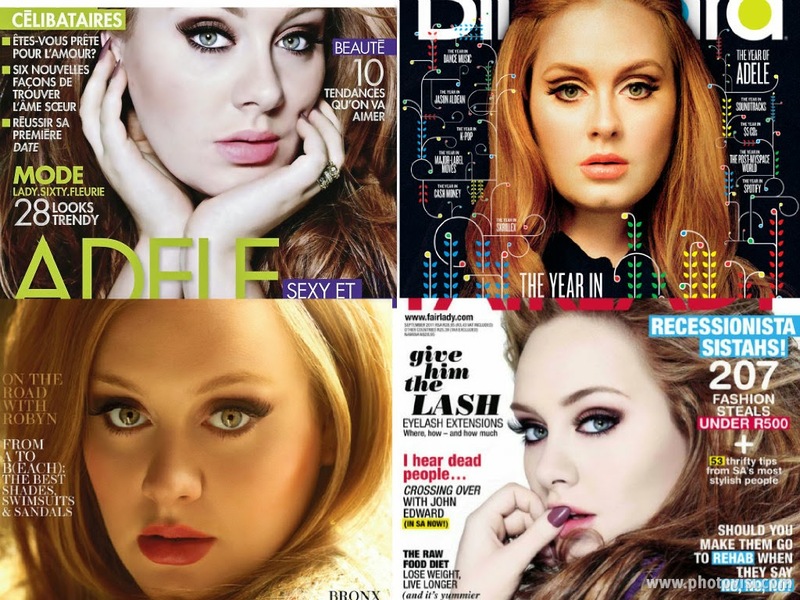 I researched singer Adele magazine covers over the years and what I discovered was shocking to say the least. Now this woman has sold millions of records broken so many barriers and covered hundreds of magazine with 90% of them being only of her face. It wasn't until Adele began to loose weight that she was featured with her full body and that was few and in between. So the next time if you opt for a selfie or just a face shot on your social media networks....Don't. Instead showcase those curves arch your back stare into the camera and smile because it may inspire someone else to do the same. THOUGHTS? DISCUSSIONS? COMMENT BELOW AND LET'S TALK ABOUT IT! I agree! Love whatever body you have! I also didn't realize this, its sad and goes along with the term: she has a pretty face, just ignoring and insulting rest of me. Good post! OMG!! I never realized this before. Thanks for bringing it to our attention, and you are right. Media wants to give curvie women props for their accomplishments, but not showcase the curvie bodies on the cover of the magazines. That is so shameful. I will be taking notice to this more often now. Thx! I know you are a busy lady, but is it possible for you to update the blog more. I enjoy reading your blog and don't want you to fall back from it. omg thank you in a world of instagram and youtube I really didn't think ppl still came to my site read my poor little blog. this was a great post! i know i am guilty of taking a lot of selfies not because im self conscious but i hate asking ppl to take pictures of me LOL! But i downloaded the self timer and my IG is bombing with full body pics! Keep writing, youre def my blog-inspiration!!! Ola I came to your blog through Garnier Style, I'm really enjoying it and I confess that I also do quite a selfies ashamed of my body. Guilty! I have suffered much prejudice and suffer and even my boyfriend and friends saying I have a beautiful body do not feel the will and always find myself huge, but so is even, and the daily struggle and his encouragement with this post is very gratifying and encouraging. Congratulations!